Bameih (Ba-miye) are Persian doughnuts that are deep fried and soaked in saffron and rose flavored sugar syrup. Oh they are amazing, when i made them i was in a doubt whether they will sell at home, but they vanished. The name Bamieh means okra, this comes from the look of it, as the deep fried dessert looks like a cut okra. One of my hubby's colleague is from Iran, though i couldn't pack and send her some of these delights i asked my hubby to ask her about it. She said they make these bamieh during Ramadan time. But you don't have to wait for any particular occasion to make these cuties. Soak saffron in a bowl with 2 tbsp warm water for 20 minutes. Take Sugar with 1/2 cup water and boil to make thick syrup. Take care not to caramelize, when it is almost thickened, add rose water and saffron water to it and take it off the stove. 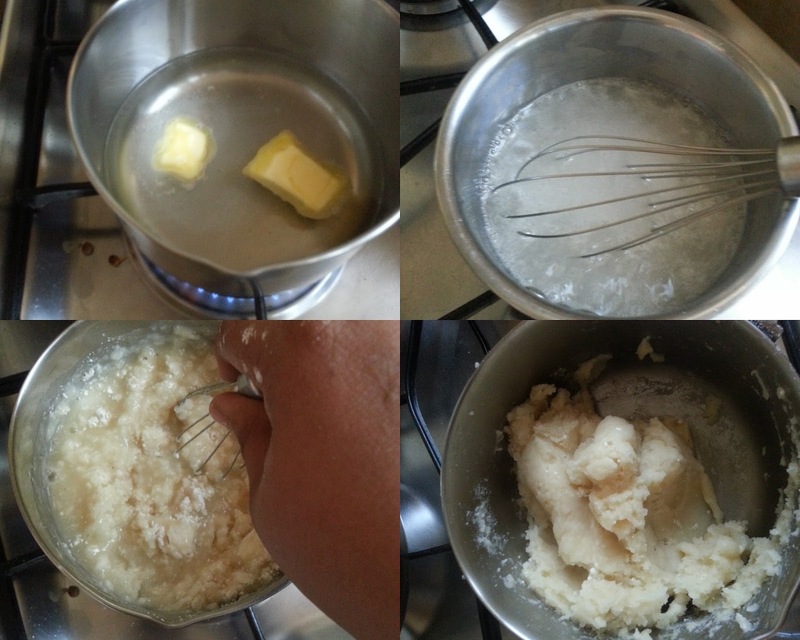 In a small saucepan, take water, butter and sugar together, let the butter melt. Now reduce the flame to simmer and add flour to this and using a spatula mix it together to form a smooth dough. Let the dough rest for 10 minutes. In that time, take the egg replacement powder and mix it with water and add it to the smooth dough and mix well. Divide the dough into 3 portions. 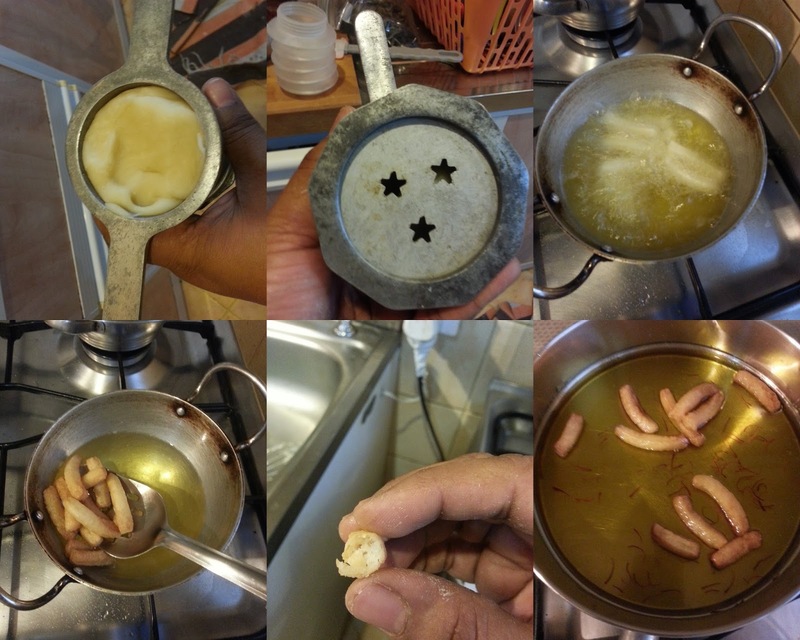 You need a piping bag with star nozzle, i couldn't find my piping bag, so i used my chakli press with star mould. Heat oil in a frying pan, when it is hot enough. Press the dough directly into hot oil, using a scissors snip an inch of dough while pressing it in the hot oil. Deep fry this on both sides, until golden brown. Do not be in a hurry while frying, the dough takes time to turn golden brown. It takes around 7-8 minutes to fry. Remove it from oil, let it drain on a kitchen towel. After 5 minutes put the fried bamieh into the sugar syrup.Let it soak until it is served. Repeat the same for the rest of the dough. While transferring the fried bamieh, give a good toss so that it is well coated with sugar syrup. They stayed fresh on the counter for a day, next day i stored in the fridge, while serving just warm it for 10 seconds for the syrup to melt a little. These look yummy..nice recipe . This preparation is so similar to churros. Amazing how recipes are so similar across countries. wow love these mini bite sized doughnuts :) looks fabulous !! Priya you have got those doughnuts so nicely done!..I was hoping there will be some baked versions..but looks like none in the list I gave! Totally different from usual doughnuts, looks stunning and succulent. A different doughnut and very inviting. Those Persian doughnuts look just like our own jalebis -- just different shape. They look juicy & delicious. 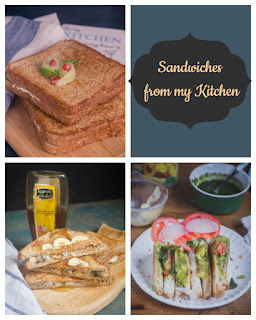 These look yummy..nice recipe and also Chuck E. Cheese which is opening at Oud Metha road in Dubai.I am really excited about that restuarants…. Very tempting donuts and the shape is so nontraditional but love the juicy bites!